CRF prides itself on hiring the most talented staff and coaches in the Midwest. To contact any of our staff or coaches, simply click on their contact information. Maida Wallin is staffed at the WMS Boathouse at Clark Park during normal business hours Monday through Friday, and would be happy to assist you in person with any questions you may have. Head Coach Mike Wallin and other members of the CRF coaching staff oversee all of our junior and masters teams. All of our coaches are former collegiate athletes, including national champions and former national team members. Mike Wallin started his rowing career in 1996 as a freshman at St. Joseph's Prep in Philadelphia PA. During his time there he won 3 Stotesbury Cups and 3 SRA National Championships. Mike was also a member of the 1998 USA Jr. National Team where he finished 10th in the world in the men’s 2+. As a senior at St. Joe’s, Mike was named team captain and finished his high school career at the Royal Henley Regatta in England as a quarter finalist in the Princess Elizabeth Cup. Mike went on to attend the University Of California at Berkeley on a rowing scholarship. While at Cal, Mike won 4 straight PAC-10 and IRA National Championships. He was named team captain in 2003 and also earned two First Team Pac-10 all academic honors during his tenure at Cal. Maida began rowing in 2001 with the Lincoln Park Juniors (now CRF) in Chicago, IL. As a senior with the team, Maida was named the captain and was a member of the first LPJ crew to attend the Youth National Championship. Her boat placed 7th. Maida also participated in the 2002 USRowing National Team Development Camp, where she won a gold medal in the USRowing National Championship 16 and Under 4+. Maida went on to row at University of California, Los Angeles on a rowing scholarship. As a freshman, Maida was a member of the Freshman 8+, placing 2nd at the San Diego Crew Classic and 5th at the Pac-10 Championship. In 2007, Maida was named to the Pac-10 All-Academic Second Team. Steve started rowing in 1991 at St. John's H.S. in Shrewsbury, MA. He continued his rowing career at Boston College where he was captain his senior year. After graduating Steve moved out to Seattle for law school and continued his training with Frank Cunningham, Bill Tytus and Emil Kossev. Halfway thru law school he transitioned from scull to coaching launch, helping Emil coach elite athletes at the Pocock Rowing Center (PRC). 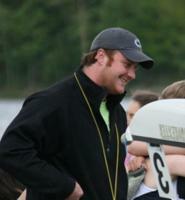 Since then Steve has coached junior rowers at Green Lake Crew, PRC and the Newport Aquatic Center. His junior crews have earned 8 medals at Youth Nationals and many have gone on to win NCAA championships and compete for the junior and U23 national teams. Steve has also coached collegiately at Boston College, Cornell University and University of San Diego. He has also been coaching elite athletes and has been named as a coach to Senior World Championships in 2009, 2011, 2012 and 2013. In 2014 and 2015 Steve coached a U23 team at Craftsbury Sculling Center, including the mens' 2x that competed at U23 World Championships. 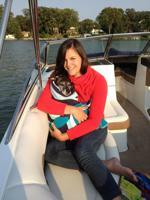 Laura began her rowing career as a novice at Indiana University in 2002. By her sophomore year, she'd earned a scholarship, and by the time her collegiate rowing career was over, she'd been named to the All-Big Ten team 3 times and the All-American team twice. 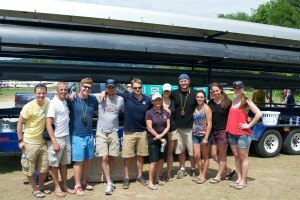 After graduating from IU, Laura was invited to attend U23 camp in Berkeley, CA. In 2008, Laura began volunteer-coaching for the local high school team while in graduate school at the University of Florida. After moving to the DC are, she then coached a variety of teams from high school to masters levels, including 4 years as an assistant coach at George Mason University. Matt started rowing at Sydney Grammar School in Australia in 2003 and, despite early skepticism, quickly realized success from racing was well worth the grind of training. Through the final two years of high school Matt competed on the junior national team for Australia in the coxed 4 and pair, placing 5th and 3rd respectively at the junior world championships. Matt was then offered a full scholarship to the University of California, Berkeley and knew it was too promising an offer pass him by. During his 4 years at Cal he raced at 4 IRA's and earned all Pac-12 academic honors. Returning home from California, Matt won multiple state and national championships. In 2015 Matt's crew won gold in the Prince Albert Cup (4+) at the Henley Royal Regatta. Over the next year Matt would compete on the Australian Olympic squad for a spot in Rio. 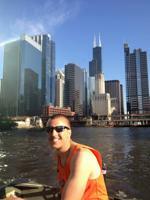 His rowing career finished, Matt moved to Chicago in Fall 2016 with his wife, Remy. They are both eager to explore the unknown challenges of a true winter. 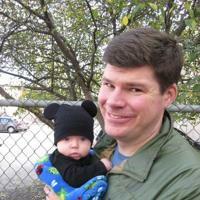 Scott started his rowing career at Lincoln Park High School where he rowed for LPJ Chicago (now known as CRF). During this time Scott won a silver medal in the men’s 2v 8+ and also lead the men’s 3v 4+ to a championship at the Midwest regional championship. After high school, Scott attended Grand Valley State where he won a SIRA Championship, a Dad Vail Championship, and an ACRA Championship. While at GVSU, Scott also medaled at the Head of the Charles and the San Diego Crew Classic. Scott also competed in the Temple Challenge Cup at the Royal Henley Regatta in England in 2010. In high school, Rick rowed for the Cincinnati Junior Rowing Club in Ohio. As a member of CJRC, Rick was a semi finalist in the Temple Cup and the Royal Henley Regatta in England, won 3 silver medals at the USA Youth National Championships and was named team captain as a senior. Rick capped off his high school career as a member of the USA Jr. National Team in 1997 where he finished 2nd in the world in the men’s 8+. Rick attended Brown University where he helped lead the team to an Eastern Sprints title and a runner-up finish at the IRA Championship in 2000. Later that year Rick went on to win the Ladies Plate Championship at the Royal Henley Regatta. Rick was also named to the All-Ivy First Team. Alex Kravtsov is an experienced rowing coach who started rowing back in 1969 in Belarus, USSR. He competed on Belorussian State level from 1970 to 1975 and took first place in Belorussian State Championships in 1972, 1974 and 1975. He started coaching in 1975, then in 1977 he became a coach member of the USSR National rowing team. Alex developed individual race preparation programs to get athletes to the "peak" for the championships. He worked with high school and junior, male and female athletes. His junior teams took first place in the World's Junior Championships twice, and they were multiple winners in the USSR and World Junior Championships. Now Alex Kravtsov works with masters and mixed teams. He emphasizes on teaching correct stroke technique and automatization of rowing movements as well as physical and phycological preparation of the athletes. Christophe was introduced to rowing in 2008 where he rowed for four years at Montclair High School and Nereid Boat Club, competing in the 4x and other sculling events, winning the NJ state championships three times, and taking first place at Stotesbury and SRAA Nationals his junior and senior years. Christophe then made his way to Madison, WI, where he would row for the Badgers in the first freshman eight, placing 4th at Eastern Sprints before transitioning to coaching at Camp Randall Rowing Club, where he coached Novice Boys.